The recent exhibition Cave Temples of Dunhuang: Buddhist Art on China’s Silk Road (May 7–September 4, 2016) explored the history and art of the Mogao Caves in northwestern China. 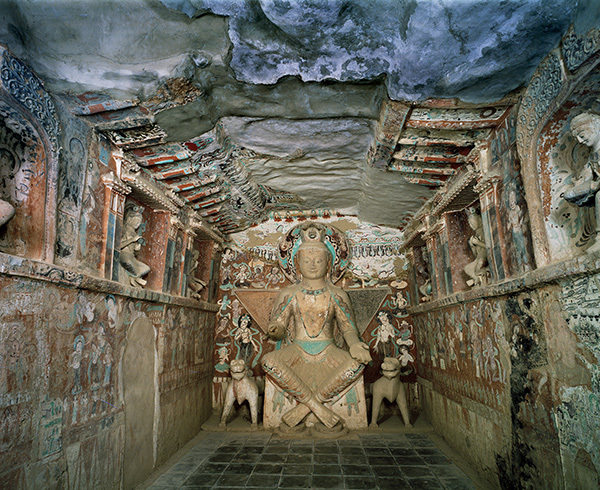 The exhibition presented the story of preserving these caves, displays objects originally found there, and offered on the Getty Center plaza life-size, hand-painted replicas of three spectacular Mogao cave temples. Also known as the Mogao Grottoes, this UNESCO World Heritage site is one of the great artistic and religious wonders of the world. Here is an introduction, via a few intriguing facts. 2. The caves were carved by hand starting 1,700 years ago. From the 4th to the 14th century, hundreds of caves were painstakingly hand carved out of the alluvial conglomerate rock cliff face, under the sponsorship of Buddhist monks, local officials, and wealthy families who wished to build karmic merit and perform an act of veneration. Nearly 500 of the elaborately decorated caves remain today. 3. They contain the world’s largest collection of Buddhist art. 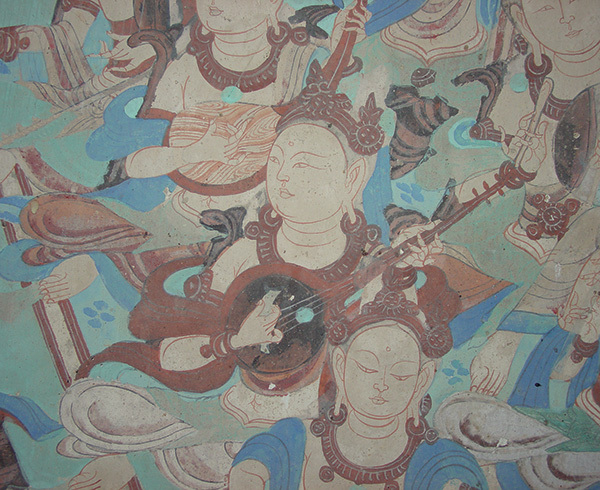 The decorated caves’ walls and ceilings, totaling close to 500,000 square feet, are covered by elaborate paintings depicting stories of the Buddha, Buddhist sutras, portraits of cave donors, ornamental designs, and scenes of social and commercial life. The caves also contain more than 2,000 brightly painted clay sculptures of the Buddha and other figures, the largest sculpture being over 100 feet tall. According to legend, in 366 C.E. a monk named Yuezun had a vision of a thousand radiant Buddhas on the cliff face, which inspired him to begin excavating the caves. Today there are many more than a thousand painted and sculpted Buddhas within the caves. 5. The site was a melting pot of cultures. Although a Buddhist site, the art and objects found at Mogao reflect the meeting of cultures along the Silk Road, the collection of trade routes that for centuries linked China, Central Asia, and Europe. Discovered at the site were Confucian, Daoist, and Christian texts, and documents in multiple languages including Chinese, Sanskrit, Tibetan, and Old Turkish. Even Hebrew manuscripts were found there. 6. Dunhuang was a portal to Buddhism in China. 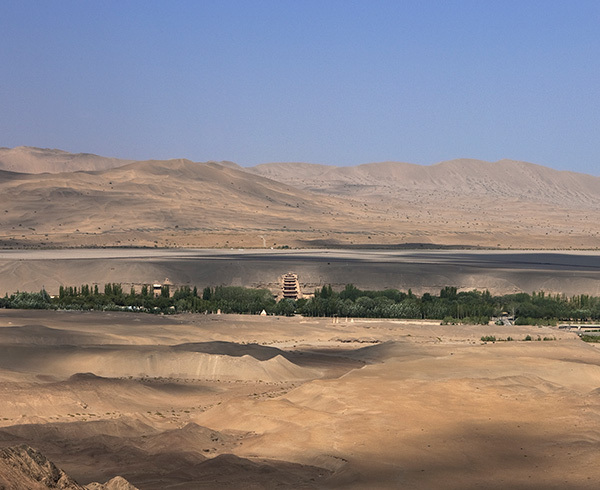 The settlement of Dunhuang was one of the places where Buddhism reached China, via a stream of monks and merchants who moved north and east from India along the Silk Road. 7. The caves lay forgotten for hundreds of years. The Silk Road fell into disuse by the 1400s, and for centuries Mogao was all but forgotten, the caves’ entrances choked by sand from the Gobi Desert. In the 1890s a Daoist monk named Wang Yuanlu appointed himself guardian of the caves. In 1900 he discovered a cache of manuscripts, long hidden in a small sealed up cave, coming upon one of the great collections of documents in history. 8. 50,000 ancient documents were found there. The Library Cave (Cave 17), which was unsealed by Wang Yuanlu, contained nearly 50,000 ancient manuscripts, silk banners and paintings, fine silk embroideries and other rare textiles dating from before the early 1000s, when this cave and all its contents were concealed for reasons still unknown. Shortly after this discovery, many of the objects from the cave were acquired at the site by explorers and archaeologists from the West and Japan. 9. Medieval China comes alive through documents found in the caves. The materials found in the Library Cave offer a vivid picture of life in medieval China. Accounting ledgers, contracts, medical texts, dictionaries, and even descriptions of music, dance, and games were among the finds. 10. The world’s earliest printed dated book was discovered there. 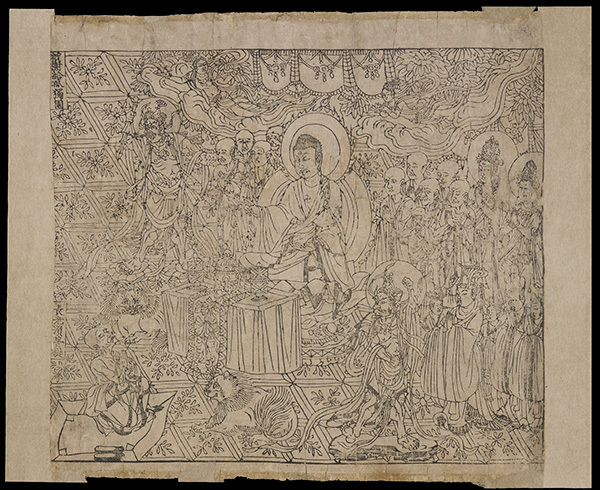 The Diamond Sutra, the earliest and complete printed book with an attested date (868), is among the most notable documents found in the Library Cave. Using carved wooden blocks, the book was printed onto strips of paper that were then pasted together to form a scroll. The text is a Chinese translation from Sanskrit of a highly regarded Buddhist sutra, and is now part of the collection of the British Library. 11. Many of the Library Cave objects can be viewed online. Museums and libraries across Europe and Asia with objects from the Library Cave in their collections have digitized them and made them searchable for free via the International Dunhuang Project, based at the British Library. 12. The caves’ remote location helped them survive. Despite their great age, the sculptures and wall paintings in the Dunhuang caves remain remarkably well preserved, thanks in part to the dry desert climate and their remote location. 13. Cave temples are found throughout the Buddhist world. The Buddha himself meditated in caves before achieving Enlightenment, and sacred cave sites are found throughout the Buddhist world, including in Thailand, Myanmar, and Sri Lanka. India is home to some 1,200 cave-temple sites, China 250. The Mogao site at Dunhuang is the largest of these. 14. The Getty has been working at Dunhuang since 1989. 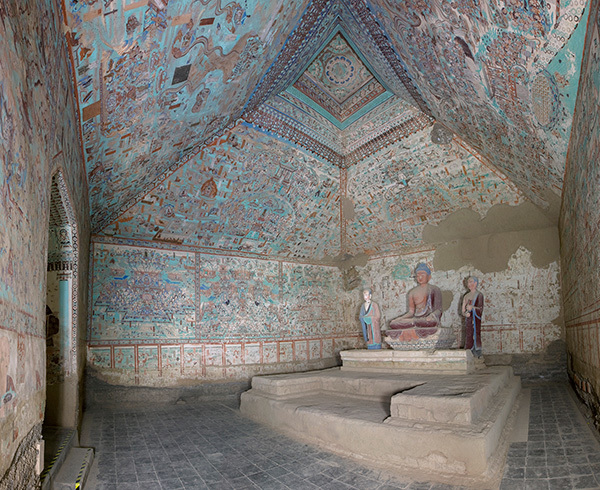 For over 25 years, the Getty Conservation Institute (GCI) and the Dunhuang Academy, which studies and stewards the caves, have been collaborating on ways to to preserve the Mogao cave temples for the future. Together they have sought ways to treat the wall paintings, which suffer from flaking of paint and detachment of plaster from the rock walls. 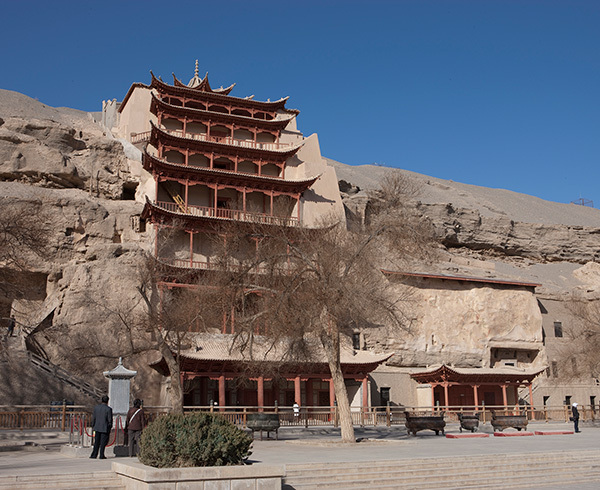 One of the larger caves, Cave 85, was chosen as the site of a GCI-Dunhuang Academy model project to develop conservation practices that will be applied both to the other Mogao caves and to other cave temple sites along the Silk Road. Conservation of Cave 85 was completed in 2009. 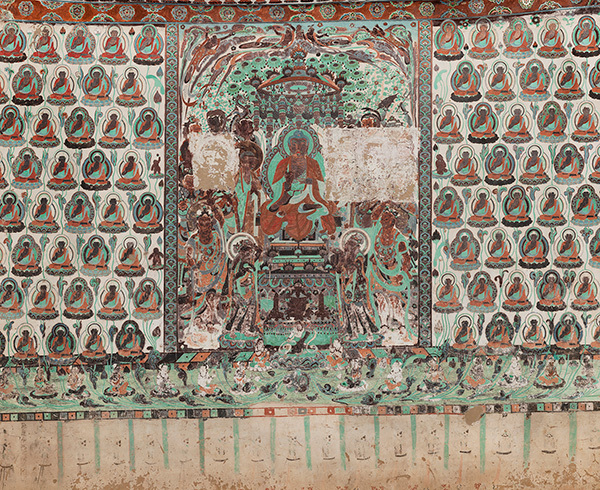 To learn more about the cave temples of Dunhuang and explore the Getty Conservation Institute’s work there, see this collection of readings and resources, including a video overview. The exhibition Cave Temples of Dunhuang: Buddhist Art on China’s Silk Road was organized by the Getty Conservation Institute, the Getty Research Institute, the Dunhuang Academy, and the Dunhuang Foundation. 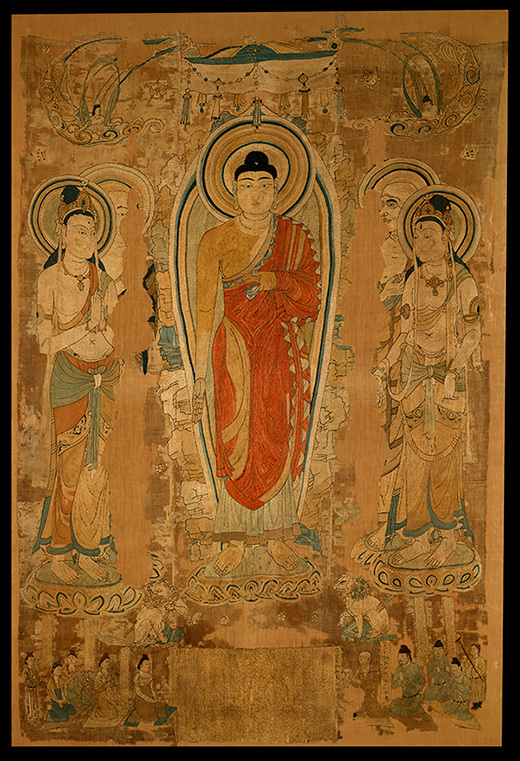 This post is part of the series Cave Temples of Dunhuang, featuring stories inspired by the exhibition Cave Temples of Dunhuang: Buddhist Art on China’s Silk Road. I’m editor-in-chief of the Getty Iris and assistant director for digital content strategy. 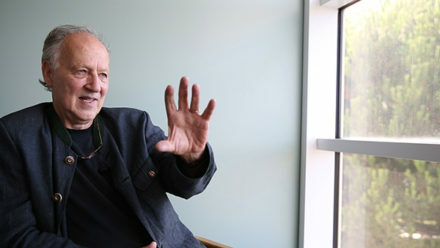 My background is in 20th-century art history, linguistics, and digital storytelling. 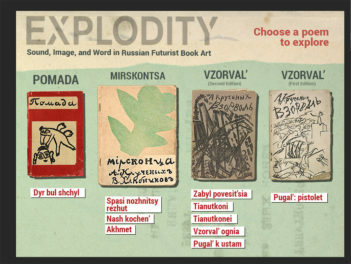 This is a priceless exhibit, not to be missed by all, young or old. GO! AT ONCE!! WE MUST ALL EXPERIENCE THIS!! Thanks William! The exhibition opens May 7, 2016, we look forward to seeing you there. This exhibit will get me back to the Getty in May. Every word of this FB posting from Kathryn Cody, a friend who has worked at The Getty for years, is absolutely fascinating. Until this moment, I have never heard of the cave temples at Dunhuang. What an amazing treasure. Can’t wait for the opening in May! 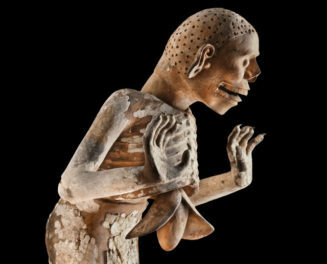 How may I make a reservation or purchase tickets to this exhibition of the Dunhuang caves at the Getty? Dear Andrea, No advance tickets are required for the exhibition, or for the Getty Center. Admission is free.